Suzuki reportedly will perform the world premiere or the first time in the world to introduce the New Suzuki Vitara. Small SUV car is projected not as a replacement for the Suzuki Grand Vitara but to target the crossover market, which is still controlled by the Nissan Juke. 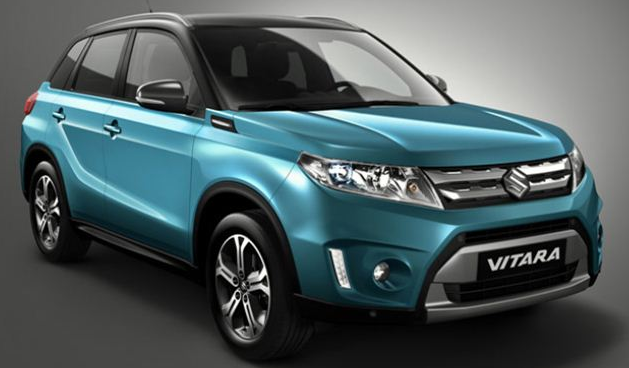 New Suzuki Vitara is a production version of the concept car Suzuki iV-4 that has been introduced since last year, scheduled class will be under the Grand Vitara and Jimny above. When compared with the concept version New Suzuki Vitara is almost no change, only a few sectors that will be adapted to the production process and the feasibility of the road. The difference includes tires smaller than the model concept, grille and headlamp that is more dynamic than Konse models that tend to futuristic. In addition, the shape of the body kit is also revised and re-making it more memorable proportionately more dynamic than the concept version. Dimensions itself has a length of 4,215mm, width of 1,850mm, height 1,655, and a wheelbase of 2,500mm. For the engine itself will be offered with a gasoline engine and diesel engine with all-wheel drive or penggerakn all wheels. Suzuki promises this will result New Vitara low exhaust emissions and fuel economy, however, will not reduce overall performance of the engine.